I never intended for any of this to happen. I was quite happy living life as a City Girl....but here I am. The wife of a country boy, a redneck...The Hillbilly Bride. Milking a cow, baking bread, tending chickens. Unschooling the children, weeding the garden, making tomato sauce. Trading the city for the country was just the beginning. I've traded manicures for getting my hands dirty in the garden. I've traded my strappy sandals for cowboy boots. I've traded the Honda for a pickup truck. I've traded processed foods for non-GMO foods. I've traded chemical laden cleaning and hygiene products for natural cleaning options. I've traded pasteurized dairy for raw milk. I've traded doctor visits for natural healing. I've traded hustle and bustle for birds chirping and bees buzzing. Now, I wouldn't trade a thing. The Hillbilly makes THE best mustard you will ever put in your mouth! We looked into selling this mustard several years ago. At that time, Texas' Cottage Food Law was much more stringent than it is today. I recently learned that Alaska, with some of the most lenient Cottage Food Laws in the country, is the perfect place for us to start making and selling mustard. We use this mustard on everything from Brats to pretzels and it makes an amazing salmon glaze. In fact, it's such a good salmon glaze that is how we're labeling it. The Bad News: If you don't live in Alaska, I can't sell it to you yet! All sales must be made face-to-face to be compliant with Alaska's Cottage Food Law. So it is only available in Alaska for now. 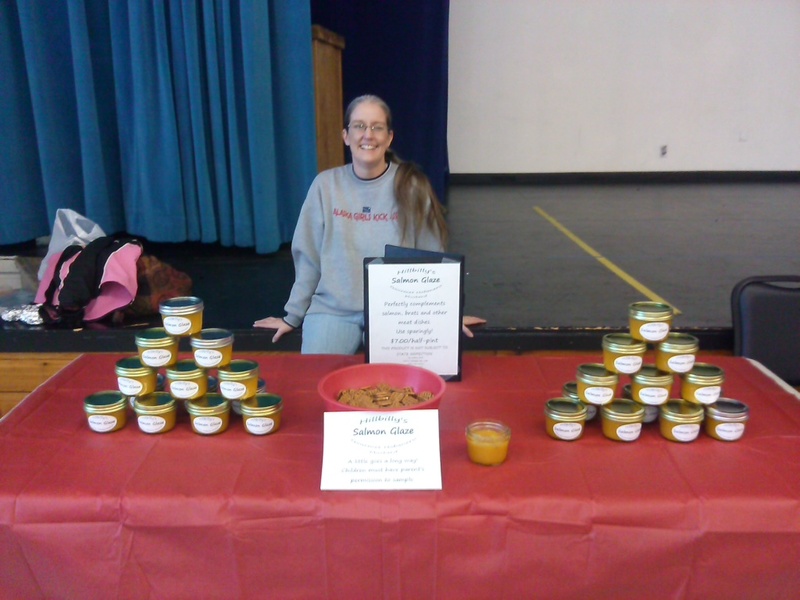 The Good News: If you DO live in Alaska and follow The Hillbilly Bride on Facebook, I would love to give you a jar! The catch? You agree to try the mustard, post a picture on Facebook, and let your friends know what you think about it. Simply message me on Facebook to find out where we'll be selling mustard next and make arrangements to pick up your jar.